The catchers try to tag the players without the ball only if tagged players without the ball are frozen. 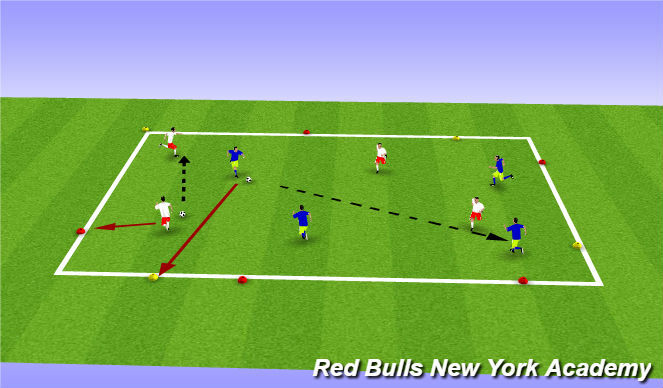 Players with the ball will pass the ball to players without the ball to assist them not to be tagged. Ensure all players become the tagger. Players are given a number and must pass in numerical order or reverse order. After making their pass players run and touch a cone on the outside. Blue team touches blue cone and yellow team touches yellow cones. Awareness of cones, players, who has the ball and where it is going next. First touch in relation to location on the field.